Extras: Travel expenses, alcohol, gratuity for guides and caterer. 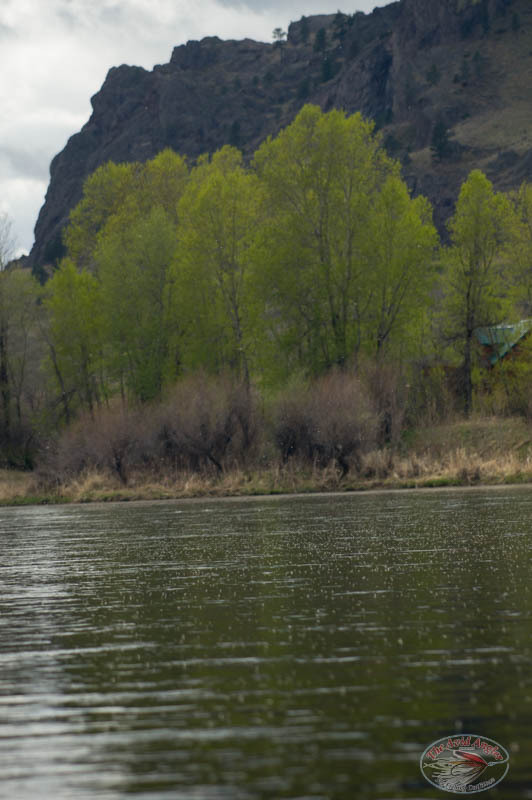 The Missouri River is arguably one of Montana's best, and most consistent, trout fishery. Some years fish counts can break 6,000 adult fish per mile! It is a great trip for all levels of anglers. 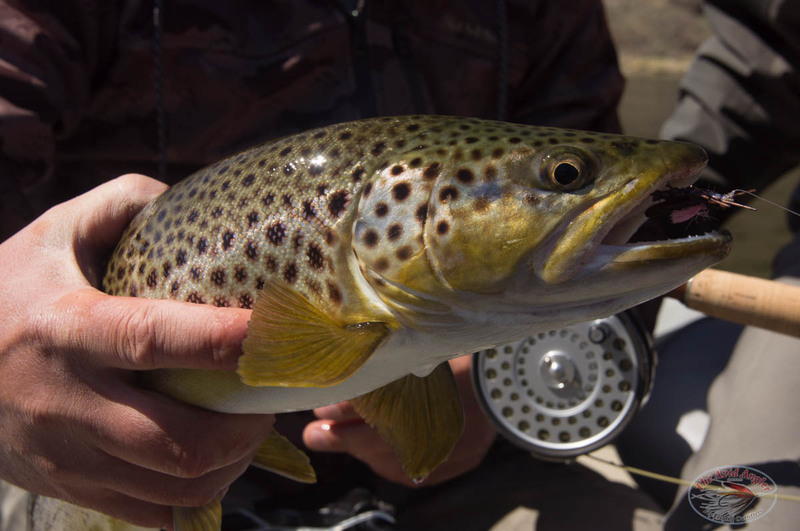 Flows are regulated below Holter Dam, so water temperatures are stable and it provides optimum growth for trophy trout. On our hosted travel to the Missouri we will stay in or near the town of Craig. You will find the lodging clean, updated and very comfortable. 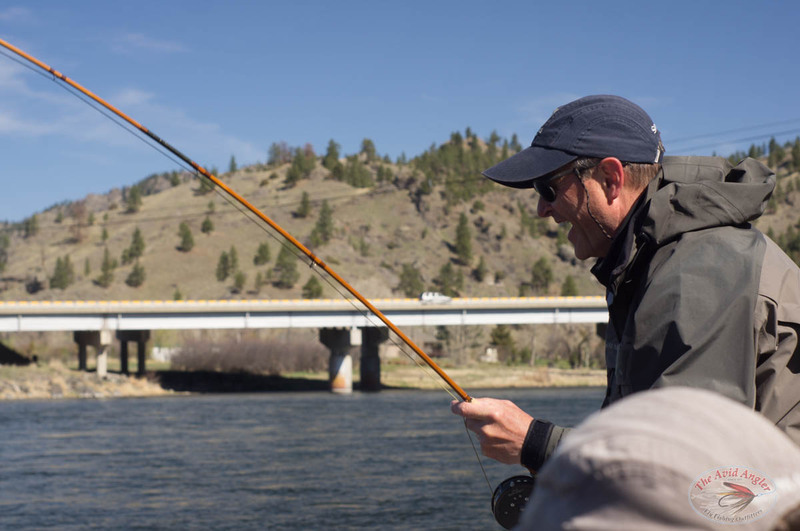 We fish from Holter Dam downstream to the town of Cascade, with multiple put-in's and take-out's along the way. The talented staff from Headhunters Fly Shop will be doing the rowing, teaching and guiding you into all the the Missouri River has to offer. Traveling to the Missouri - Craig is located between Helena and Great Falls on Interstate 15. Drive time from Seattle is roughly 10 hours. Flights in to Helena (HLN) are reasonable and can be booked through Alaska Airlines. For those who have never been to Craig, it's pretty easy to navigate. Once you get of the interstate, take a right onto Bridge street. You'll see fly shops, a restaurant, a bar, and a law office. That's really about all there is in town! Please contact us at info@avidangler.com or call 206-362-4030 for more details. April, 2016 Montana's Missouri River is without question one of the finest trout rivers in the country if not the world. Swimming in its cool fertile waters are an incredible population of both brown and rainbow trout of impressive size. 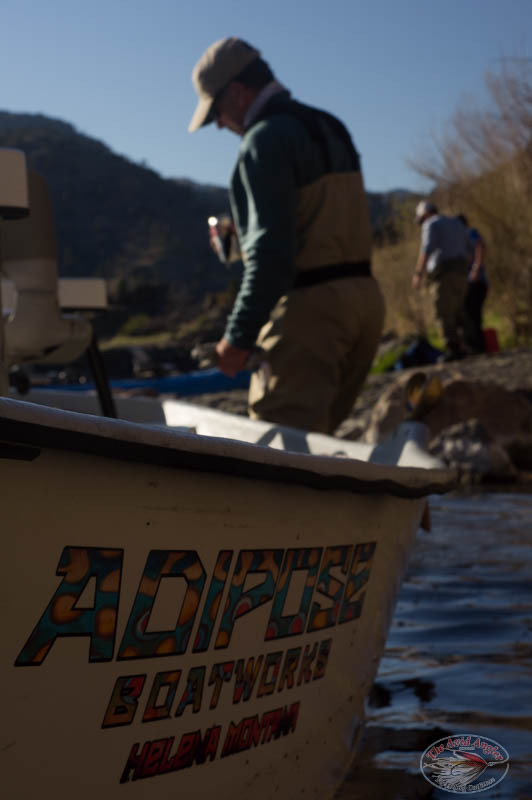 For the past four years, the Avid Angler has been privileged to host an annual trip or two to this fly fishing factory. With anticipation in the air this year's group met up in Craig, Montana on April 12 for four days of fishing, great food provided by Sherri, comfortable accommodations and festivities! As usual the fishing was very good with everyone catching their share of beautiful rainbows and browns highlighted by Harry Wunders impressive 21" brown on a #18 BWO. I'd like to say the dry fly fishing was great but despite some of the most incredible BWO hatches I have ever seen the dry game was a challenging one. Also unlike the previous year the Skawla hatch never really got going but we will certainly be looking for it next year. Perhaps the varying weather conditions we experienced (70 degrees one day, snowing and blowing 40 mph the next) played a part in the mixed results but one could easily see the possibilities under the right conditions. As tough as the dry fly fishing was the nymphing was incredible at times. Fishing sow bugs and small mayfly nymphs resulted in many fine catches for the group with numerous fish pushing and exceeding the magical 20" mark. Our guides Ben, Nick, Beth and Max from the Headhunters fly shop in Craig were top notch. Patient, friendly, creative and knowledgeable they put in long hours which was a big key to our success. Blue Ribbon describes not only the Missouri but the Headhunters guide staff as well. Lastly, we want to extend our warmest and sincerest thanks to our guests Lee Brown, Doug Hanel, Mike Fann, Ira Smith, Galen Dolstad and Harry Wunders who made our job an easy one with their good will and appreciation of this fine fishery. We hope to see everyone next year and if any of you might be thinking of joining us in 2017 please don't hesitate to give us a call at the shop for details. We would love have you join us. You won't regret it! October, 2012 This trip was a classic fall trout trip. The weather was factor, which made the dry fly fishing hard to come by, but the streamer fishing was excellent. We threw typical olive and black streamers, along with a variety of silver, gold and copper flashy streamers. The fish were all over them! We had one day where the wind layed down and the fish came up. The classic pods of Missouri trout were up and feeding big time! We threw standard blue-winged olive patterns, along with emergers and cripples to fool the larger fish. The most notable fish, of the day, was a twenty two inch rainbow taken on a Quigly Cripple. The guides from Headhunters were hard working and very enjoyable to spend the day with. Lunch was always freshly made and, I assure you, we never had a chance of going hungry.